If you are thinking of selling a home in Tallahassee, what stage of the home selling process do you currently find yourself? 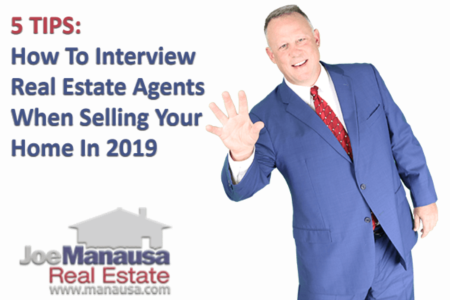 You see, I have found that home sellers go through several important stages, and if they are lucky, they meet a highly informed real estate agent who can help them make a proper decision to accelerate them through the home selling process. Homeowners find themselves needing or wanting to sell a home for various reasons, and with the right counseling, they can make the best decision on what to do. We often hear it said that "knowledge is power," but the application of knowledge to a set of actions designed to attain a goal is far more important than just being informed. I recently wrote an article about the Four Choices For Home Sellers regarding their decision in what to do with their home, and I wish this would become common knowledge. Any other option is merely a subset of one of the four listed above. For many people, the reality is that they only wish to move, and the current state of the housing market (falling values and low sales activity) make them choose the second choice of staying in the home. But what about the group of people who are relocating and must decide what to do with their home? If you find yourself in this position, the following might enlighten you as to the stages of the home selling process that you are about to encounter in your decision making process. "It's all about me" - The first stage starts with simple reasoning. Home sellers determine their current situation and then consider the optimal outcome. They start doing some simple "me" math ... "I need to get $X from the sale to buy my next home, and I currently owe $Y on the home, so I'll go ahead and sell it for $Z and that will get me what I need." It is simple, it is logical, but unfortunately it has nothing to do with the current market value of their home. If a seller in this stage of the process consults with a weak real estate agent, then the house goes on the market for $Z and it will fail to sell (If you need more information on why pricing a home to sell matters, please refer to this link for pricing information in real estate). "What's wrong with my house" - If the homeowner has hired a great real estate agent, this stage is never encountered. 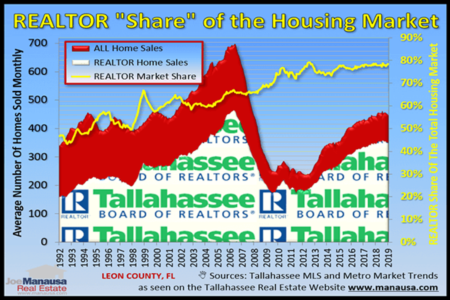 But with 60% of the homes failing to sell in Tallahassee, many homeowners hit this stage. Some spend a lot of time here, as they do not know how (nor are they enlightened by a great real estate agent) to proceed to the next stage. This stage is the beginning of depression for the home seller. They do not understand why little or few people are looking at their home, and they start to wonder what their real estate agent is doing to get the home sold. Ultimately, it is during this stage that many home sellers start to do the research about selling a home that they should have done before hiring their real estate agent. Sadly, many find that they are in a world of hurt. Homes fail to sell because they are not being marketed correctly and/or because they are overpriced. Home sellers usually do not put a lot of thought into hiring a highly qualified real estate agent because it never dawns on them that it matters. But it does. Today, 94% of homebuyers are using the internet, so home sellers who hire a real estate agent that does not have a dominant internet presence will most likely be ineffective at getting the home sold. This stage continues until the seller's pain threshold has been met, and then they decide to get serious. "I need to get serious" - When sellers get serious, they have reached the stage in which they have a chance to sell their home. Up to this point, they usually have given the market very little consideration in the pricing and staging of their home. Serious home sellers are focused on what BUYERS are thinking and what options BUYERS have in the market. After all, selling a home does not occur in a vacuum, it happens in a market where supply and demand dictate property values. Real estate prices go up, and real estate prices go down. The only factor the seller controls is whether or not the house will sell. Buyers determine value. A serious home seller will take a look at the likely value the home will fetch under current market conditions. Factors such as "what I need to buy the next home," and "what it appraised for 2 years ago" are no longer considered, the serious home seller finally "gets it." If this stage is reached soon enough in the home selling process, then the seller either decides to sell and prices the home accordingly, or the seller chooses one of the three other options. "It just doesn't matter" - Sadly, this is the stage that home sellers reach when they took too long to reach the previous stage. Exhaustion and empathy set-in and the seller typically takes the first offer that they receive. After being on the market far longer than they ever expected, sellers at this stage often make poor decisions. And of course, they are at this stage with an agent who did not do much to enlighten them, so the agent will only further this apathetic response in the hopes of getting paid a sales commission. It just doesn't have to be this way. If you are thinking about selling a home in Tallahassee, I will meet with you and spend enough time with you to help you move immediately to the third stage. There is no need to lose money in a market where buyers are ready and waiting, simply because you do not understand the market or the process of selling a home. I will show you with great precision the highest value most likely to be attained in the market. I find it terribly sad that there are homeowners in this market who have not been given this very basic help, and they find out far too late that their hasty choice in selecting a real estate agent is going to cost them tens of thousands of dollars. You will be able to take this information and make a decision. Whether or not you choose to sell your home should be based upon real information and an understanding of your most likely outcome. Do not just work with a friend or the first agent you meet, rather sit down and first become informed. Remember, knowledge is power! 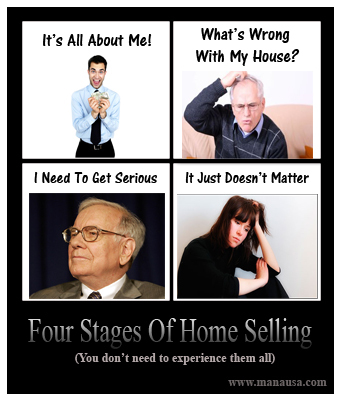 I hope your new understanding of the four stages of the home selling process will help you make a wise decision when it comes your time to move. Excellent pointers. If I may add to your phase 2: - You mentioned marketing and these days VISUAL marketing is just as vital. Online photos need to be spot on but even prior to that Home Staging can help. Thanks Laura, I agree with you. There is much to do to help ... when the seller is serious.